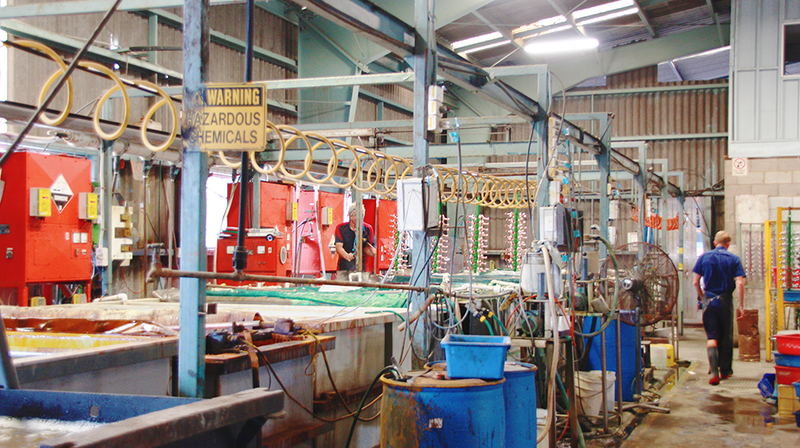 With our own manufacturing facility on the Sunshine Coast, Emro has full control when manufacturing our own products. Our highly skilled and motivated team is led by Manufacturing Manager, Grant Simpson. Grant has extensive experience and his skills range across multiple disciplines including, but not limited to, plating, powder coating and die casting. Grant is supported by a team of qualified professionals including a powder coater, die-cast machine operator, plating and polisher, and specialist on-site welder. Our skilled team can manufacture from scratch and/or easily transform and customise standard products into bespoke solutions that meet your specific requirements. Our team’s goal is to exceed customer expectations for delivery, quality and functionality. We are proud to say that our cast stair and handrail brackets, marine accessories, cabin hooks and all custom orders are 100% Australian made. Die casting is a process of forcing molten metal under high pressure into mould cavities. The die casting method is especially suited for mass production of small to medium sized parts. Most castings require trimming, pressing the casting results in the removal of excess material. This excess is then recycled. This process is used to deburr and polish surfaces. 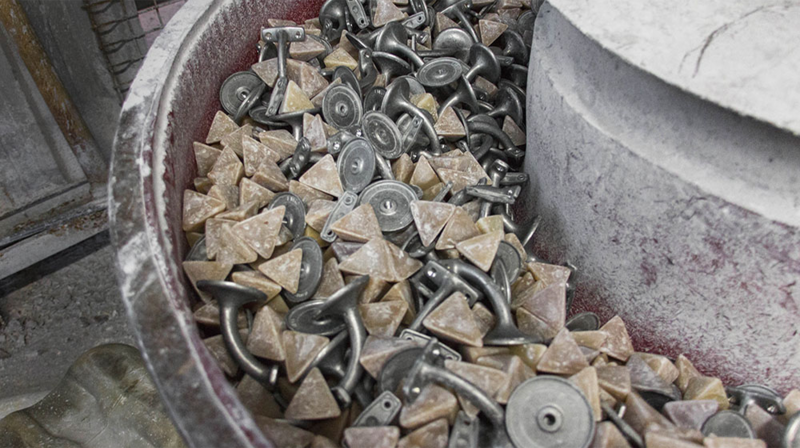 Zinc die castings are vibrated in ceramic chips. The vibrating action causes the medium and the work pieces to rub against each which results in a smooth surface. The castings are then washed, dried and finished by electroplating or powder coating. Electroplating or powder coating processes are used to deposit a layer of paint or chrome on a work piece. Electroplating is the process of depositing a metallic coating upon a negatively charged electrode by the passage of an electric current. The purpose of electroplating is to obtain a metallic coating having different properties or dimensions than those of the basis metal. Emro produces large quantities of chrome and gold plated product. Electroplating allows Emro to manufacture according to market needs and preferences. 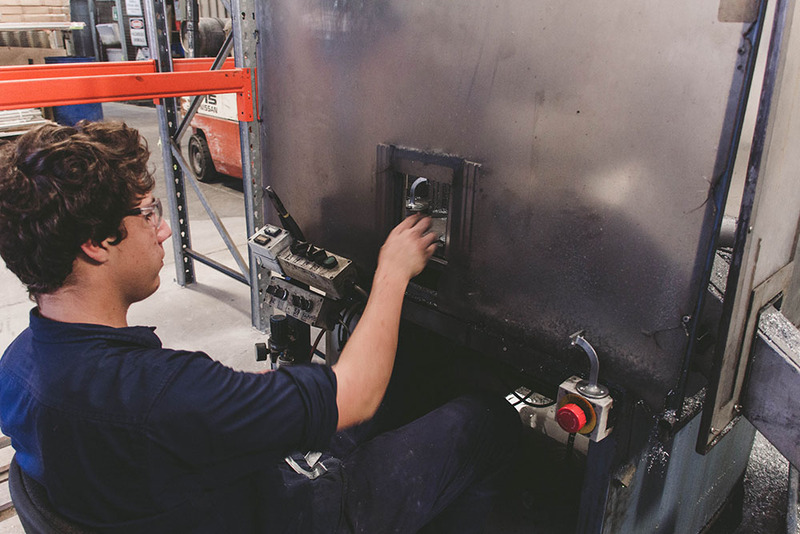 We use rack plating methods to ensure our quality is of the highest standard and consistency. Emro uses a process called Electrostatic Spray Deposition (ESD). This method uses a Corona gun for the delivery of powder. The concept of a Corona gun is simply the generation of a field of high voltage (up to 100KV) through which powder flows. As the powder flows through the electrical field, it acquires a negative charge. This charge seeks to escape to earth. The part to be sprayed becomes the earth, and accepts the powder coating onto its surface, where it is held by residual charge. 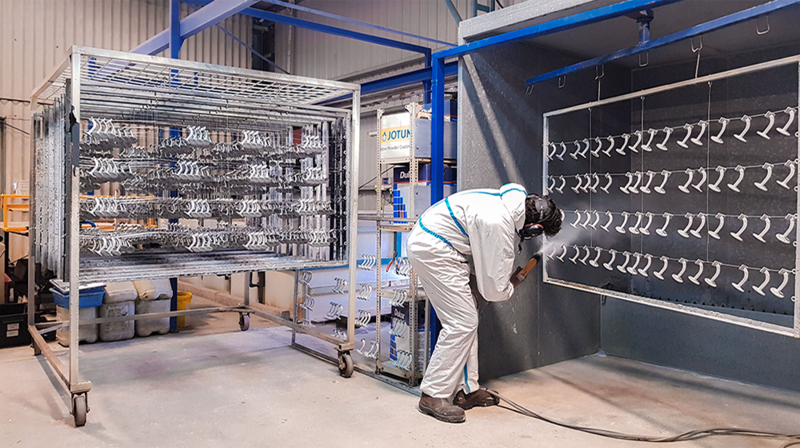 After the application of powder coating, the parts enter a curing oven where, with the addition of heat, the coating chemically reacts to produce a high quality finish.